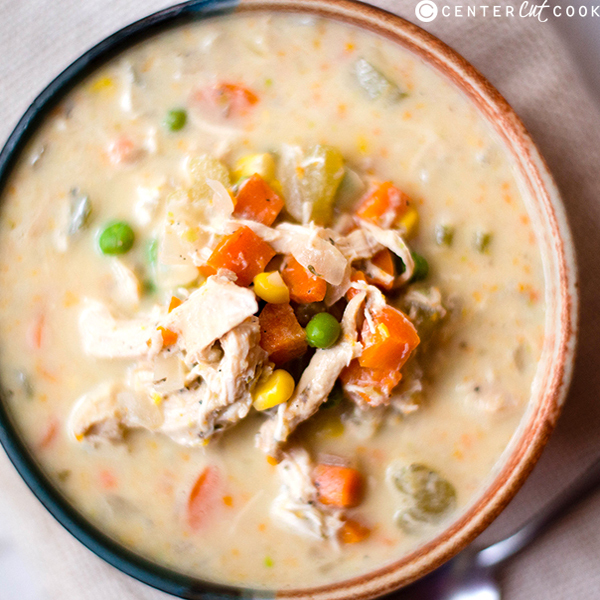 All the tastiness of chicken pot pie in an easy and healthy slow cooker version. I think we can all probably agree that there’s not much better than a delicious, homemade chicken pot pie, hot and steaming from the oven, full of delicious vegetables, creamy goodness, and chicken. Hard not to have your mouth water and stomach grumble with anticipation just thinking about it, right? But, then, I remember about all the time it takes to make the dough, to make the filling from scratch, to prepare the pot pie, and then to bake it. Often, this process takes hours of hands-on time. And that’s not to mention all the cream and butter and flour…and more butter and cream…that this recipe takes. Delicious? Yes. Healthy and easy? Not so much, sadly. So, I decided to try an easier version of chicken pot pie using a slow cooker because slow cookers just make life so easy. I also decided I’d try to make a healthier version of the beloved pot pie while I was at it. Basically, my attempt was to make a unicorn in the form of a healthy chicken pot pie. The good news is unicorns do exist because this soup is very creamy, luscious, delicious, and super easy. 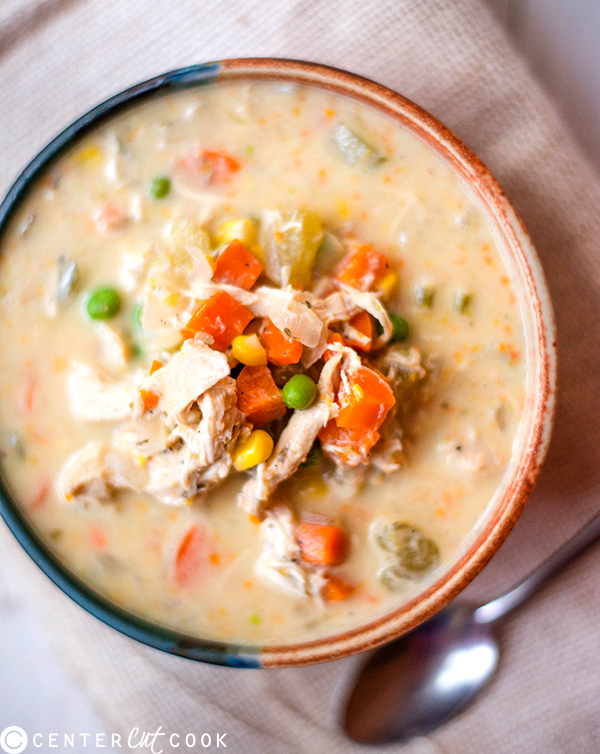 While the original chicken pot pie will always be an amazing meal, this healthy slow cooker chicken pot pie stew is a very good (easy, and healthy!) stand-in that I hope you enjoy, too! Add the chicken, yellow onion, celery, carrots, garlic, salt, pepper, thyme, oregano, and chicken broth to the bowl of a slow cooker and stir to combine. Re-cover and cook an additional 30 minutes, until the frozen vegetables have heated through. Season to taste before serving.